The above painting is done by the renowned Indian painter Raja Ravi Varma. His paintings are considered to be among the best examples of the fusion of Indian traditions with the techniques of European academic art. He is generally considered as one among the greatest painters in the history of Indian art. 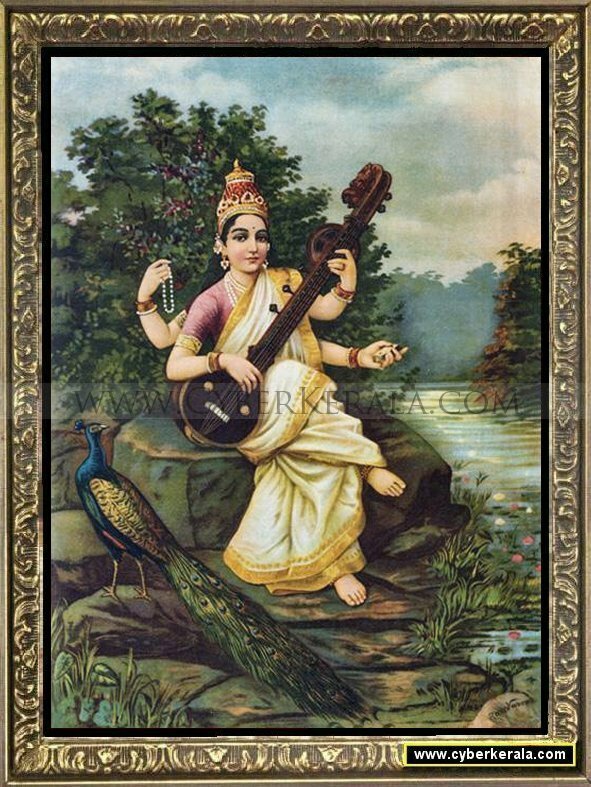 Try to buy Goddess Saraswathi Photos as shown above or in similar manner.